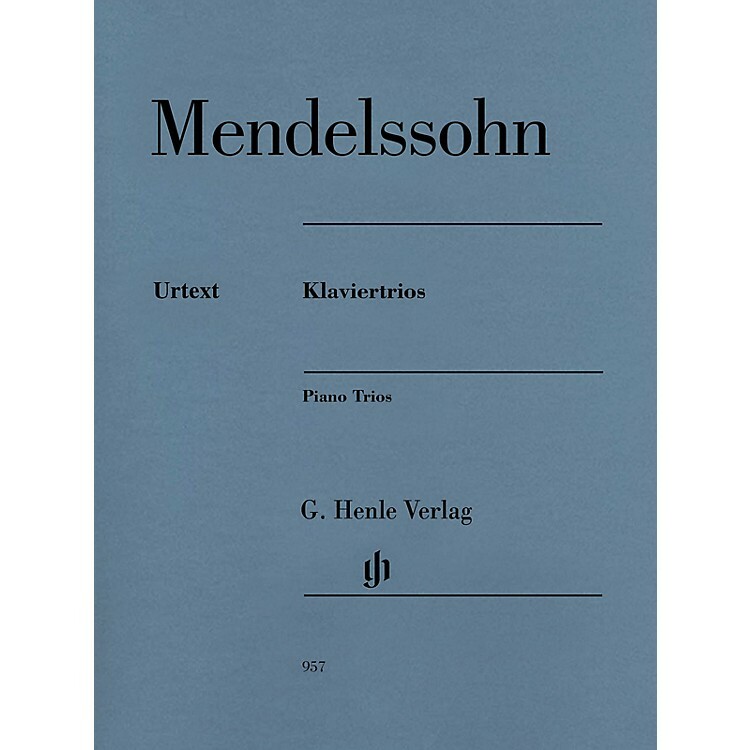 After an early work and a discontinued attempt in 1831/32 Mendelssohn made his breakthrough in this important chamber music genre in the summer of 1839 with the Piano Trio in d minor op. 49, which was to be followed six years later by the Trio in c minor op. 66. On publication of the first trio, Schumann took the opportunity to describe the composer as the Mozart of the 19th century, whereby he was obviously alluding to the mixture of Classical and Romantic stylistic elements. The musical text of these two famous trios has been thoroughly revised to reflect the latest scholarly findings. In addition HN 1297 also includes a flute part for the alternative version of op. 49 (flute instead of violin) that Mendelssohn himself made.